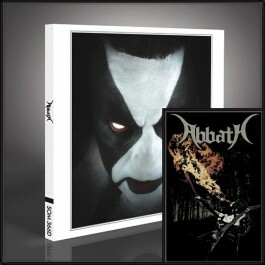 ABBATH unleashes the fury of a Nordic blizzard at full force with his crushing debut album. The heavy-metal icon and former IMMORTAL front-man returns with a self-titled album packed with his signature razor-sharp riffs and black metal anthems. Stellar cuts "Winter Bane", "Ashes of the Damned", "To War", "Fenrir Hunts" and more are nothing short of true heavy metal thunder. 'Abbath' is the black metal album of 2016, and returns him to his rightful place as the face of the genre. Hold on tight or get blown away!